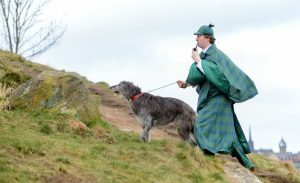 SHERLOCK Holmes has become the first literary character to have his own tartan approved by the Scottish Register of Tartans. 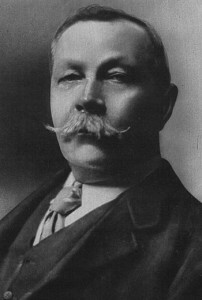 Holmes was created by Sir Arthur Conan Doyle who was born in Edinburgh and gained his medical degree from Edinburgh University. 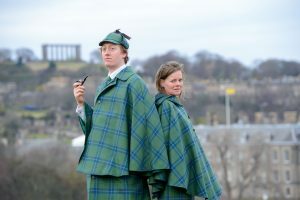 Now one of the writer’s descendant’s has immortalised those Scottish links by creating a unique pattern for Conan Doyle’s most famous and much-loved character. 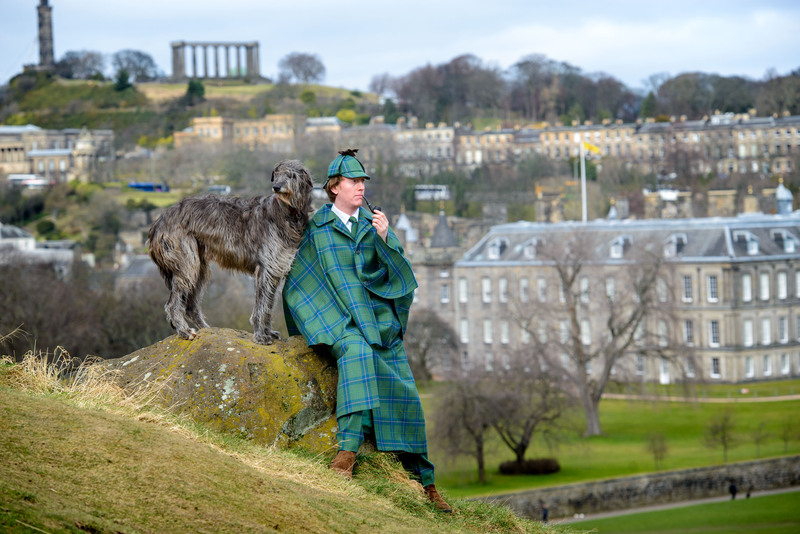 Rather than A Study in Scarlet, the Sherlock Holmes tartan is predominately green and blue, to reflect Conan Doyle’s Irish and Scottish heritage. The pattern also includes a light blue line to represent the Reichenbach Falls – the locations where Holmes fought to the death with his nemesis, Professor Moriarty in the Conan Doyle short story, The Final Problem. Meanwhile, the pattern is completed with a yellow line to represent the deductive clarity of Holmes, a character who has been played countless times on film and TV by actors as diverse as Benedict Cumberbatch, Jonny Lee Miller, Robert Downey Junior, Sir Ian McKellen, Christopher Lee and Christopher Plummer. The new tartan was designed by Tania Henzell, a great-great step granddaughter of the author, who worked with weavers the House of Edgar to finalise the design and have it registered. great, great, great step grandson – to show how it is the perfect design for the character’s trademark Deerstalker cap and Inverness cap. Tania said: “Tartan has great design appeal, and it was a fascinating experience coming up with a pattern that reflects who Conan Doyle was as well as tying in elements that are entirely Sherlock. Basil Rathbone is often considered the quintessential Holmes, playing the detective in a string of classic movies, starting with the Hound of the Baskervilles in 1939 and continuing throughout the 1940s. 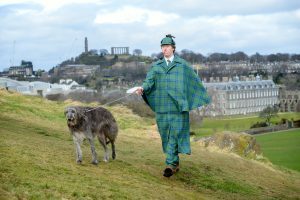 The new tartan will also be available to adorn ties, cushions, cummerbunds, handbags, waistcoats and trews which will be available on www.sherlockholmestartan.com.